New 2019 Jumbo loan requirements are now available. New home buyers and current homeowners can find all the latest guidelines listed below. Please reach out to us to learn more about any of the options listed below. You can call the number above, or just submit the Quick Call form on this page. Jumbo loan programs have continued to expand in 2019. The availability of low down payment solutions has continued to expand over the past year. In the past, many Jumbo mortgages required a minimum 20 percent down payment from most financial institutions. But newly expanded options today allow qualified buyers to finance up to 95% loan to value. 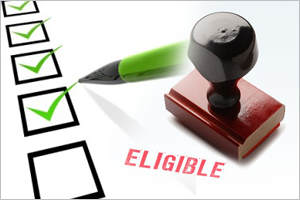 As expected there are minimum requirements that must be satisfied to obtain loan approval. More expensive housing locations like California, Alaska, Hawaii, DC, etc, are known as “high cost” These locations have base conforming loan limits higher – generally $726,525. Jumbo loans allow buyers to purchase their dream home even if they cannot reduce their borrowing costs to the conforming loan limit. 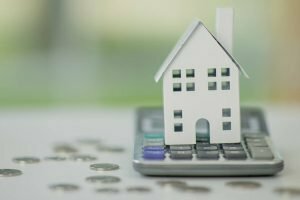 While the exact criteria required to qualify for a jumbo loan may vary from one lender to another, borrowers who qualify for this type of loan program can expect to be held to stringent credit and income-to-debt qualification criteria. Jumbo purchase requirements do differ based on the final loan amount and down payment. We have listed the most popular options below, please connect with us to learn more. Loan limit caps for 5% down payment is currently set to $2,000,000. Credit score requirements – for loans below $1.5m buyers should have a minimum 700 credit score. For loans $1.5m-$2m buyers should have 740 credit. Payment reserves – For loans below $1,000,000 buyers should have a min 6 months of payment reserves. Loan exceeding this amount will require 9+ months. Program Note: Reserves is the amount of liquid or non-liquid savings a home buyer has remaining after closing. Most non-liquid retirements accounts are eligible to meet this requirement. Loan limit caps for 10% down payment is currently set to $3,000,000. Credit score requirements – for loans below $2m buyers should have a minimum 700 credit score. For loans $2m-$3m buyers should have 740 credit. Payment reserves – For loans below $2,000,000 buyers should have a min 12 months of payment reserves. Loan exceeding this amount will require 12+ months. Credit scores start at 660 for lower loan amounts but will vary, please contact us to learn more. Primary and second homes only. Rental – investor properties are permitted, but require a minimum 20% down payment. No Mortgage Insurance – PMI. Buyers will often choose from a combo 1st and 2nd piggyback mortgage option or a single loan option. Available terms include common 30 year, 15 year fix rate and all common 3,5,7,10 adjustable rate options. Eligible property types include regular single family homes, condos, and townhomes. Multi-unit properties are case by case. Vacant land, distressed properties or building on your owned land is not permitted. All programs require full income and asset documentation. Documents like tax returns, bank statements, will be required similar to regular conventional loans. Reduced documentation & stated income programs are not available. Current homeowners can read about all the rate-term and cash-out Jumbo Refinance details. Buyers will also find the 2019 Jumbo Loan video helpful, please connect with us 7 days a week with questions.